Compositing and rendering applications need as much memory as possible. This is the main reason why 64bit operating systems are becoming so important: to allow more than 4 gigabytes of available memory. What''s more, on a 32 bit operating system, even if you have 4 gigabytes of memory, only three or three and a half will be available. The rest being hidden to make room for the memory space needed by graphic cards and other hardware. Windows Vista has an interesting feature: ReadyBoost. By plugging a ReadyBoost enabled USB pen drive in your system, you can reserve some or all of the space on the drive -upto 4 gigabytes- as an entirely transparent memory cache. This feature was developed to allow owners of older systems, especially notebooks, to run Windows Vista comfortably without having to upgrade internal system memory. Well, it seems that running today''s compositing and rendering applications turns a mighty quad core with 4 gigabytes of memory in the same league as a 512Mb notebook running a wordprocessor. ReadyBoost really speeds up things once activated. Insert a ReadyBoost certified pen drive. We use Sandisk''s Cruzer Micro drives but there are many other options. Just make sure the ReadyBoost logo or name is on the package. If Windows Vista recognizes the drive as ReadyBoost capable it will present the option to speed up the system. You can also access the speedup from the drive properties panel, ReadyBoost tab. Set Use this device to on, and reserve as much space as possible. 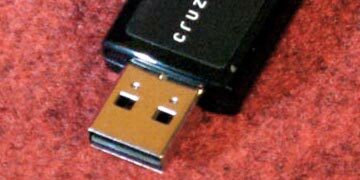 Here at VFX Wizard we have added a permanent 4GB pen drive to all Vista 32 machines and this is what I would recommend doing for best results. Now start using your applications as usual. The speedup is not immediately noticeable, as it takes some time to pre-load into the pen drive the applications and their data. After a while you''ll begin noticing that switching between heavy applications becomes a snap. Although ReadyBoost will not increase the amount of memory available to each application, it will allow Windows Vista to manage multiple applications open at the same time much faster. My subjective tests show that switching between fully loaded compositing and rendering applications while it could take several seconds on Windows XP.